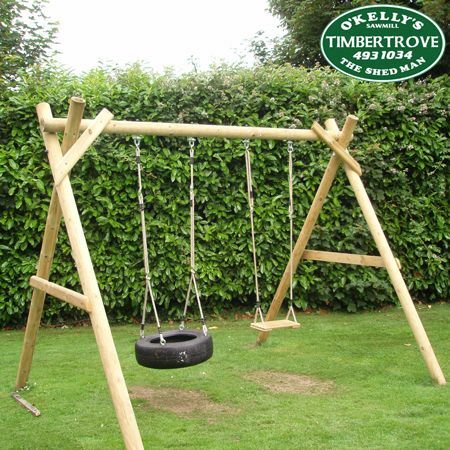 Our Double Swing Unit is available flat packed (includes fixings and diagram) or we can supply & fit. 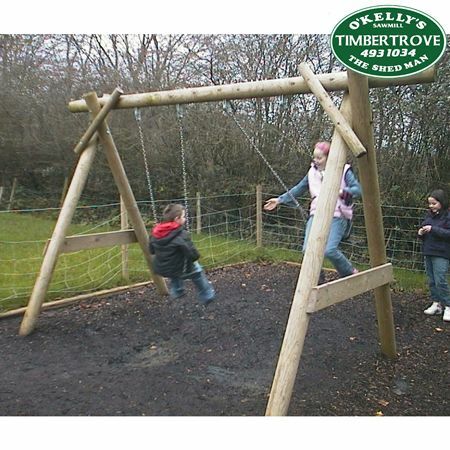 This play unit is made from Pressure Treated Timber - low maintenance and built to last. Please state when ordering (in delivery notes) which two seat options you require. 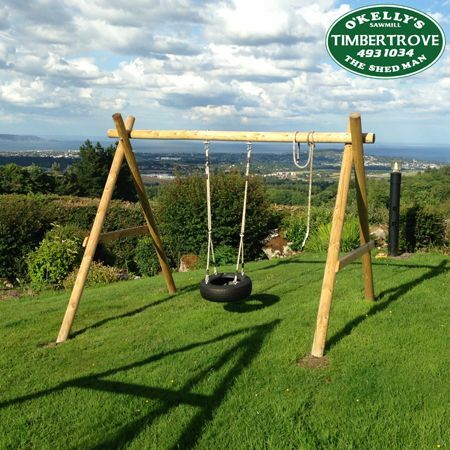 IMPORTANT DELIVERY AND FITTING NOTE: Currently we offer fitting and delivery of this product to the greater Dublin area only. All other areas please contact our sales team. 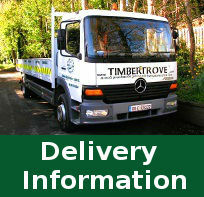 Click here to find out more about our delivery details.